It's interesting to read that five soccer associations in Papua New Guinea were given the boot by the PNG Football Association. The main reason for the suspension of Koupa, Hekari, Bougainville and Manus were for not complying with the electoral code vetting system. Associations that don't have an active competition are suspended before the PNGFA Congress meeting in Kimbe. Lae Football Association (LFA) is the biggest soccer competition in the country, and it has two teams in the National Soccer League (NSL) the Morobe United FC and the Lae City Dwellers. So clearly LFA cannot be ruled out under the electoral code vetting system , because it runs an active competition with players who are playing in the NSL and OFC and FIFA sanctioned tournaments. In June 2016, LFA President Roy Kamen was suspended by the PNGFA judiciary for breaching the FIFA code of ethics by posting against Chung and PNGFA on Facebook. This was prior to Roy Kamen assuming the post as President of LFA. Kamen and LFA Junior Vice President Stanley Khana was suspended for two years and referred to the OFC Ethics Committee. Kamen was part of other member associations who have nominated for Hekari President John Kapi Natto for PNGFA presidency. This is a clear case of trumped up charges against Kamen to get him out of the way so that Kapi Natto loses one of his supporters. Generally, all the member associations who have supported Kapi Natto were suspended. What about Mt Hagen, Simbu and other smaller association who dont have an active competition? They were not suspended. The presence of Roy Kamen at the LFA Grandfinal late November 2016 has again brought to PNGFA's attention of which LFA was suspended for not complying with the PNGFA's decision on Kamen not to be involved with LFA. Kamen is the president and owner of the LFA's champion club City United who defeated rival Poro FC in the grand final. Kamen is also the Lae City Manager and was invited under his capacity as the city manager. LFA now has a president acting on behalf of Kamen. He is LFA's Senior Vice President Andrew Narik and he has filed a court application to PNGFA to reinstate LFA. Today there is uncertainty on the future of elite players from LFA, who are playing in the NSL, the OFC Champions League the national team. Lae City Dwellers' future of going for the OFC Champions League in March 2017 is hanging in limbo and the team's management have come out to protest against LFA Acting President Andrew Narik who has filed a court application against PNGFA. It seems that the longer the court proceedings take, there wont be adequate time for preparations for both Hekari and Lae City Dwellers for the OFC Champions League. With the NSL Set to kick off in February, many elite players from the suspended member associations will miss out to play. Speculations on social media have said that the current PNGFA regime is trying to hold on to power and associations rallying to unseat David Chung will be taken down before the Congress meeting in Kimbe tomorrow. Chung is the current PNGFA and OFC President and is the vice president of FIFA and we are expecting more exposure for PNG players. The recent staging of the U20 Womens world Cup in Port Moresby has again proved the country's worth as soccer powerhouse in the region. 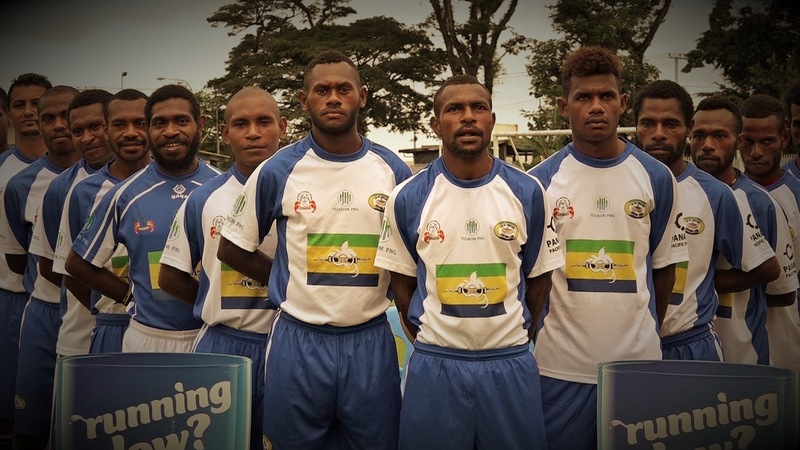 But if member associations remained suspended, we are expecting the worst to happen to PNG's future on football. Can everyone put their club differences aside, their self ego and interests and work in Unity for the development of soccer in PNG? Remember FIFA promotes Fair Play, and that should be practiced at all levels of the code.